The Philae lander; they should have put a tiny statue of Isis in Her temple, don’t you think? 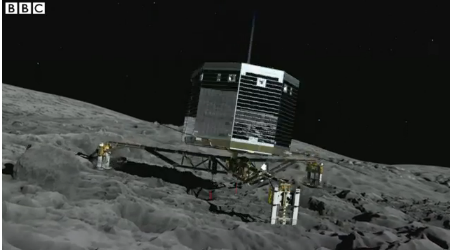 Surely you did not expect me not to comment on the fact that the comet lander is named Philae, right? 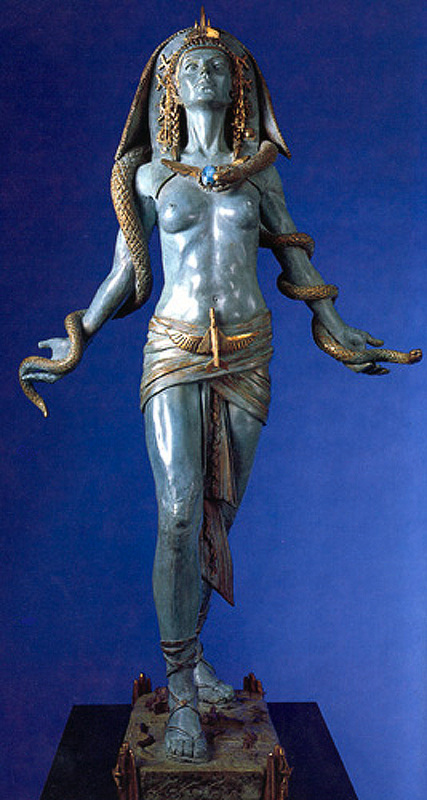 What with all the negative associations of a certain-terrorist-organization-that-shall-remain-nameless with the (most common, Anglicized) name of our Goddess, it does my heart good to hear something positive with Isiac connections in the news. Turns out that one of the obelisks found on Isis’ temple island of Philae was used to assist in the translation of the Rosetta Stone, which is what enabled us to crack the code of ancient Egyptian. The Rosetta Stone (which is now in the British Museum) has three scripts on it: Egyptian hieroglyphs, demotic Egyptian, and Greek. 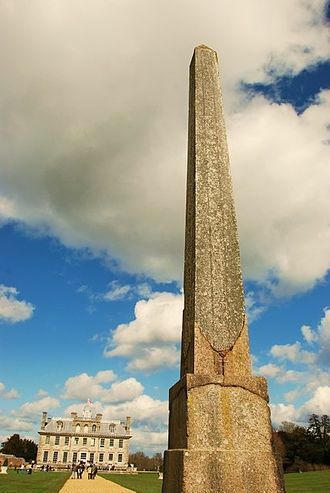 The Philae Obelisk (which is now on a nobleman’s estate in England) is inscribed in Egyptian hieroglyphs and Greek. The Philae Obelisk expanded the data and provided some cross-checking ability. Since the space probe as a whole is named “Rosetta” and its mission is to “translate” information about comets to earth, the parts of the probe are named for the two inscribed items that assisted in translating ancient Egyptian. As an extremely appropriate bonus, the Rosetta probe also carries a “Rosetta disc” containing 13,000 pages of text in 1200 different languages. I. Love. That. Isis has always been associated with the science of the day. She is Great of Magic and She is The Wise. Artist Audrey Flack titles this work “Egyptian Rocket Goddess.” I like to think of Her as Isis Technologia. Here, Isis is a healer, a teacher of the healing and divinatory sciences, as well as the Lady of the magical science of resurrection and rebirth. Isis is also associated with the science of alchemy, the basis of later chemical science. Indeed She is Herself an alchemist and knows the secrets of the Tincture of Isis. Here’s a link to a post on Isis’ alchemical connections. It is also interesting how many modern scientific associations or companies dealing in science take the name of Isis. There are biotechnology and medical companies, a scientific journal, computer technology companies and more, all named for Isis the Wise. I hope that most of them will continue under Her name and not cave under the current “brand pressures,” though a few of them already have. Isis Technologia expands Her sphere of influence with the times. So even though ancient Egypt had no smart phones or computers, I would not hesitate in the slightest to consider Isis the Goddess of Computer Science. It is completely consistent with Her ancient character. From the earliest Egyptian texts to today, Isis is the Goddess of Magic and so She is also, most assuredly, the Goddess of Science and Technology. Isis understands code. And I know for a fact that more than a few of Her modern programmer devotees have called upon Her when confounded by a coding conundrum. I’ll bet they received answers, too. Ancient EgyptAspects of IsisEgyptian magicEgyptian TemplesGoddessIsis MagicIsis the MagicianLady of MagicPhilaePhilae landerRosettaWho is Isis? 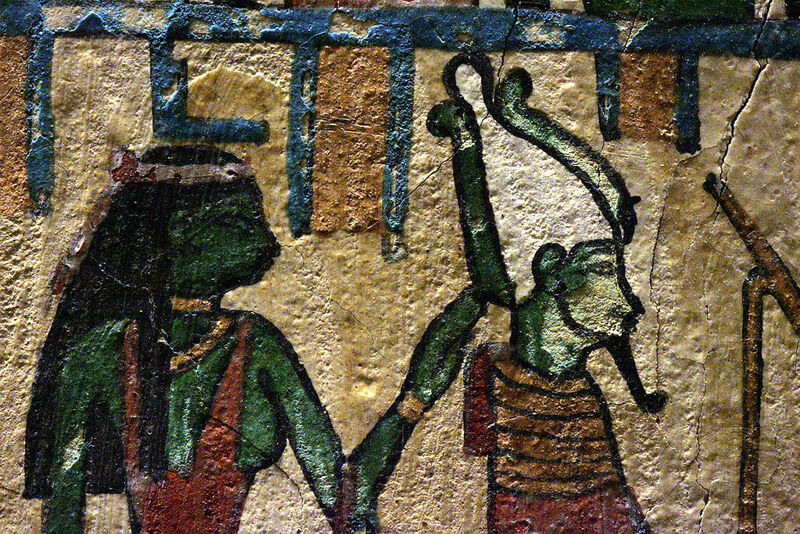 Thank you for another informative article on the great goddess Isis in her many forms. Her beauty, intelligence and magic astounds me daily in my life and of those my work touches. I really love this website! Thanks for another great post! I wonder if there is some historical connection between Green Isis and Green Tara.